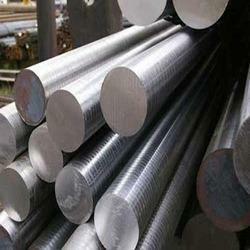 Prominent & Leading Manufacturer from Mumbai, we offer stainless steel rod 310s, stainless steel rod 304h, stainless steel rod 316, stainless steel rods 316l, stainless steel rod 321 and stainless steel rod 317l. Being a customer focused organization, we are engaged in offering a wide and exotic assortment of Stainless Steel Rod 310S which are widely used in various industry. Our diverse product range reflects an ever changing and demanding market place emphasizing our commitment to satisfying all aspects of our customers' requirements. Being a customer focused organization, we are engaged in offering a wide and exotic assortment of Stainless Steel Rod 304H which are widely used in various industry. Our diverse product range reflects an ever changing and demanding market place emphasisng our commitment to satisfying all aspects of our customers' requirements. 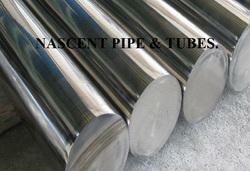 We are the leading supplier of Stainless Steel Tubes we are engaged in offering a wide and exotic assortment of Stainless Steel Rod 316 rods which are widely used in various industry. Our diverse product range reflects an ever changing and demanding market place emphasisng our commitment to satisfying all aspects of our customers' requirements. 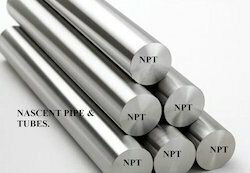 Being a customer focused organization, we are engaged in offering a wide and exotic assortment of Stainless Steel Rods 316L which are widely used in various industry. Our diverse product range reflects an ever changing and demanding market place emphasisng our commitment to satisfying all aspects of our customers' requirements. 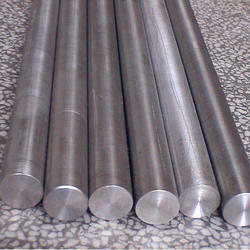 Being a customer focused organization, we are engaged in offering a wide and exotic assortment of Stainless Steel Rod 321 which are widely used in various industry. Our diverse product range reflects an ever changing and demanding market place emphasisng our commitment to satisfying all aspects of our customers' requirements. Being a customer focused organization, we are engaged in offering a wide and exotic assortment of Stainless Steel Rod 317L which are widely used in various industry. Our diverse product range reflects an ever changing and demanding market place emphasisng our commitment to satisfying all aspects of our customers' requirements. Being a customer focused organization, we are engaged in offering a wide and exotic assortment of Stainless Steel rod A240 which are widely used in various industry. Our diverse product range reflects an ever changing and demanding market place emphasisng our commitment to satisfying all aspects of our customers' requirements. Being a customer focused organization, we are engaged in offering a wide and exotic assortment of Stainless Steel Rod 317 which are widely used in various industry. Our diverse product range reflects an ever changing and demanding market place emphasisng our commitment to satisfying all aspects of our customers' requirements.